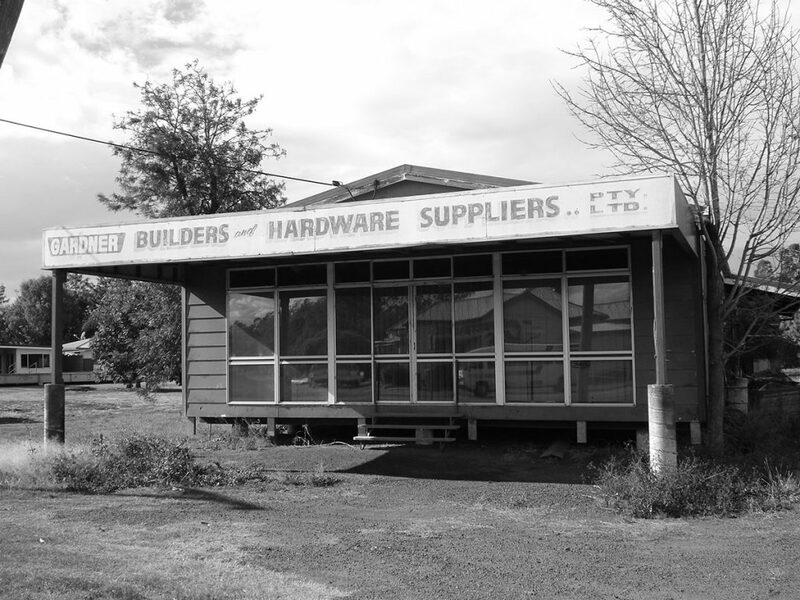 Throughout its 40 year history, the FKG Group has developed an enviable reputation as a leading Head Contractor, known for delivering a wide variety of outstanding building and engineering projects in Queensland, New South Wales and the Northern Territory. 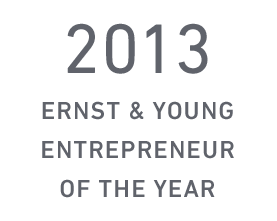 The privately-owned, diversified company undertakes projects across all sectors for both government and private clients. 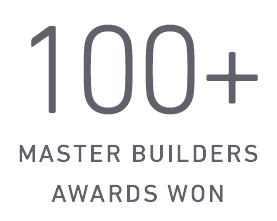 Building projects proudly undertaken include industrial facilities, schools and tertiary education buildings, hospitals and medical centres, aged care and retirement facilities, retail centres, performing arts centres and community facilities, hospitality and tourism buildings, defence, aviation and transport infrastructure. 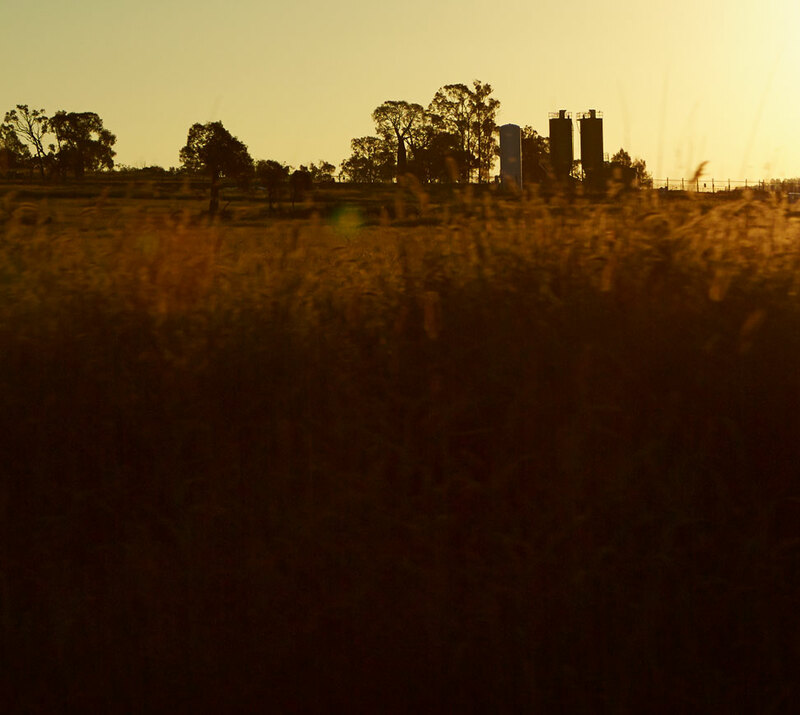 The civil engineering business is an active contractor in a broad range of sectors, including the coal seam gas sector, state roads and infrastructure for Roads and Maritime Services (RMS), Department of Transport and Main Roads (TMR), private developers and the regional aviation sector. 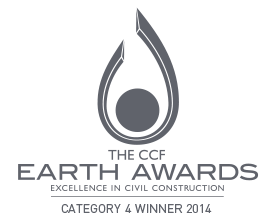 The company is particularly experienced in design and construct projects, supported by a large team of highly skilled in-house design managers and services engineers. As a leading Tier-2 contractor with an unrivalled safety record, the FKG Group of companies employs more than 650 direct employees through eight offices and prides itself on its commitment to supporting the local communities within which it works. 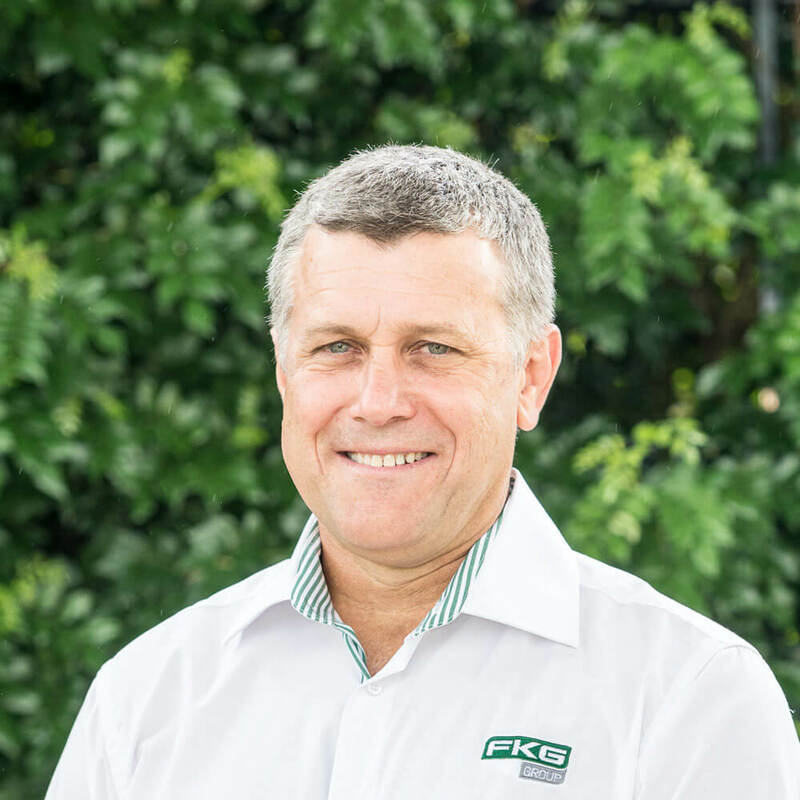 The FKG Group is built from a 40-year construction and engineering heritage, established by Francis Gardner, a local builder in the South West Queensland Region of Brookstead, 180 kilometres West of Brisbane. 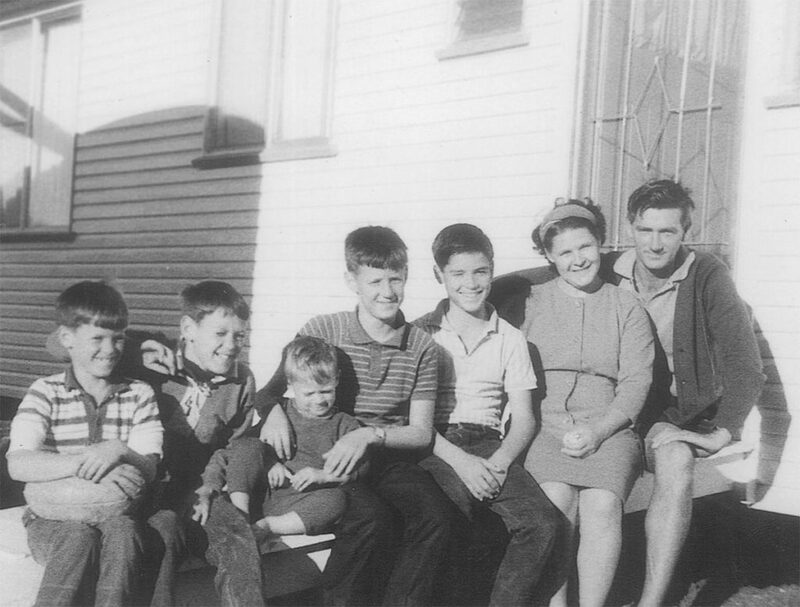 The business soon expanded as Francis was joined by his five sons, Gary, Frank, Bruce, Paul and Wayne. 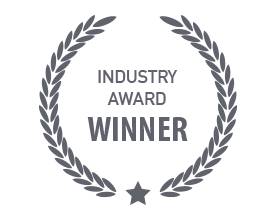 Today, the FKG Group has an enviable, diverse portfolio of projects. 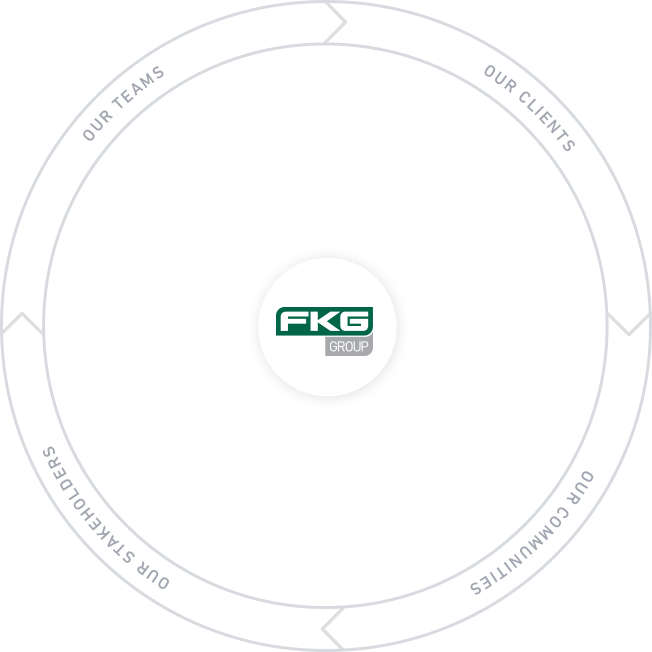 This experience, coupled with sound reinvestment decisions, has formed the robust financial platform that has enabled the FKG Group to grow to the top Tier-2 contractor that it is today. Gary Gardner, the Executive Chairman, and his son Nick Gardner, the Managing Director, have ensured the core family values remain central to the FKG Group’s operations, building a culture of honesty and integrity while delivering quality outcomes for clients; performing beyond expectations. A carpenter by trade, Gary Gardner has worked his way through the business, started by his father, and has now been at the helm of the FKG Group for almost 40 years. Gary’s entrepreneurial ability and focus on managed expansion has seen the FKG Group grow from a small business to a diverse organisation that provides integrated construction, engineering and support services for the property, resources, infrastructure and government sectors. 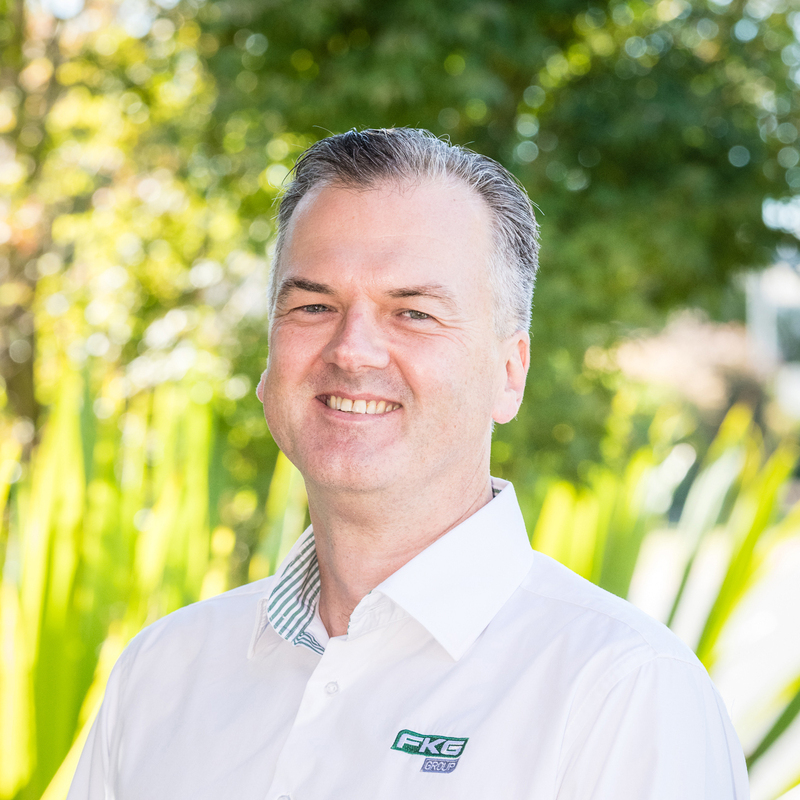 As Managing Director, Nick has been instrumental in the growth of the FKG Group’s business, particularly within the construction and engineering sectors. His leadership is demonstrated through his vision of aligning and diversifying the business to suit the economic growth across Queensland and now New South Wales, along with the introduction and implementation of new business systems and practises. He brings to the table many years of experience from a practical and managerial perspective, having worked in various roles within the FKG Group since a very young age. Mark is the Chief Operations Manager and a member of the FKG Group Board. 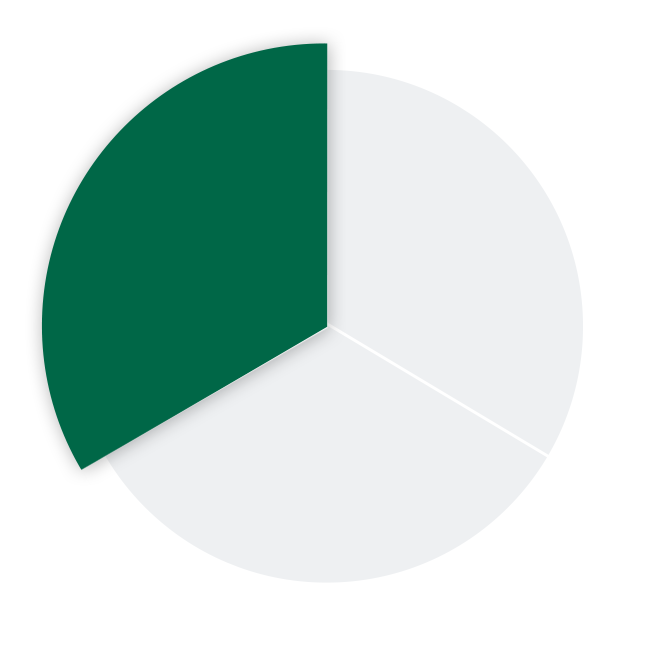 He provides strategic business focus and manages the implementation of long term strategies, including the diversification of the business for continued growth. Having worked for ASX listed companies in senior management/director positions and through holding Non-Executive Chairman and Director Board positions, Mark has extensive management experience and brings a unique and highly regarded business acumen to the business and in running the operations of the FKG Group. Grant is the CEO for Digital Innovation and Energy for the FKG Group and is currently leading the development of a Global Agrifood Innovation Precinct. The development will be a multi-faceted world-class technology, innovation and fresh food district which will incorporate an integrated agriculture community; transportation and freight access; low cost energy solutions; and collaboration and technology focuses. 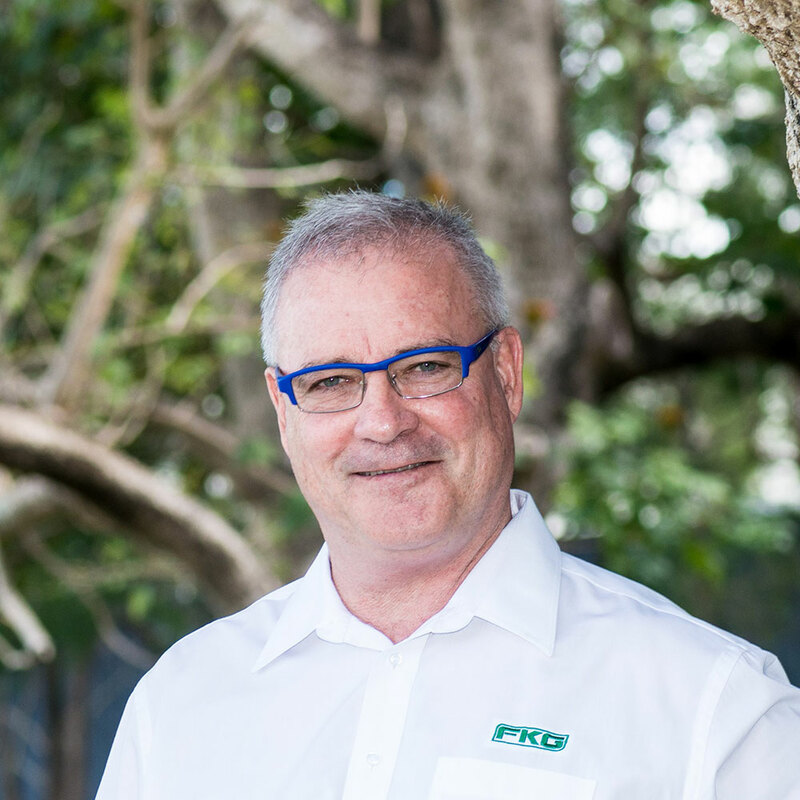 With over 20 years’ experience working in commercial accounting and business consulting roles, Grant has been an integral part of the FKG Group since 2006, including 12 years as the company CFO – a role which he held until transitioning into the newly created role of CEO for Digital Innovation and Energy. 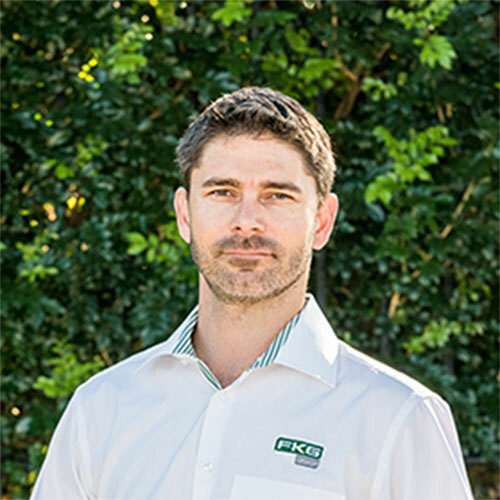 Ben is our Chief Financial Officer who combines his extensive financial experience and strong business acumen to provide complete financial and strategic support for the entire FKG Group. Ben leads our finance and accounting teams who provide accounting, financial and payroll support, as well as providing guidance on cost management, forecasting, corporate financial analysis and investment due diligence. 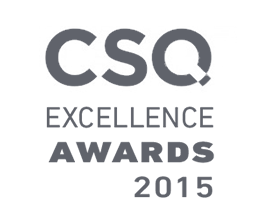 Dave Vicenzino has over 30 years’ experience in the construction industry delivering large, complex projects for clients in the government, health, industrial and educational sectors. With many years’ experience Dave understands the importance of building strong stakeholder relationships and partners with his clients, offering them innovative and practical solutions. As Group Manager – Construction Dave leads a dedicated team of professionals and with a highly developed business acumen provides the strategic direction in developing and implementing the construction team’s business plan to further expand into Queensland, New South Wales and the Northern Territory. Rob originally joined the FKG Group in 2006. With a career spanning over twenty years in the civil construction industry, Rob is an accomplished and knowledgeable engineer. His civil background spans across various disciplines including bulk earthworks, pavements, services and concrete structures. 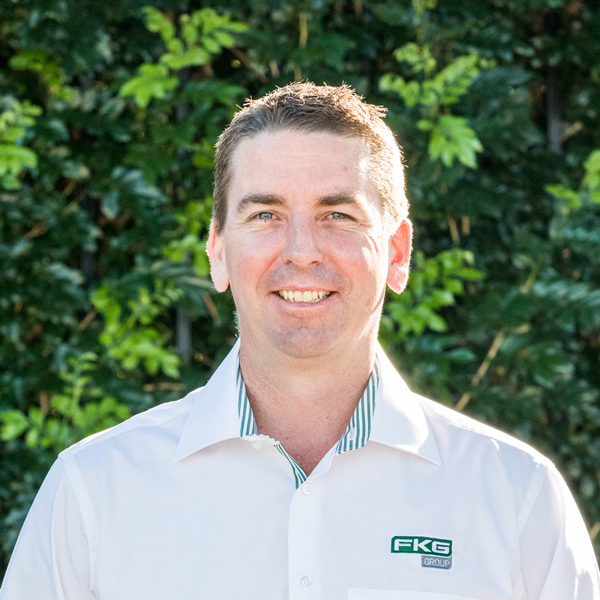 As Group Manager – Civil Engineering, Rob leads the development and delivery of the FKG Group’s Civil Engineering business throughout Queensland, New South Wales and the Northern Territory. His role also includes the development and implementation of the team’s business plan, conversion of opportunities, and ensuring our projects are successfully delivered. With more than 39 years’ in the property and banking industries, Dallas brings broad experience to his role of managing the FKG Group’s Development and Design business unit. 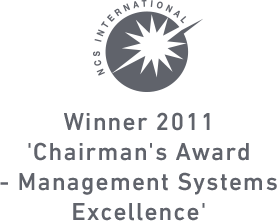 Working alongside the FKG Group’s Development and Design team and external consultants, Dallas is responsible for managing and delivering the Group’s investment and development properties. His role involves market research, identification of development opportunities, due diligence including feasibilities, acquisition, design, approvals, construction supervision and property management. We act with integrity, honesty and transparency in all that we do. In everything we do we go beyond, acting with honesty, openness and care. Not because we have to, but because we want to. Acting with integrity is its own reward; but by investing in our people, our clients, our community and our environment we can also develop strong foundations for future growth and innovation across the industries we operate in. We deliver innovative ideas and unique solutions to assist our clients and exceed expectations. We are practical people who look for efficient and cost-effective solutions to any problem. We use logic, but we use it in our own way: creatively. We solve problems with imagination, inventiveness and an eye for innovation, looking at them from every possible angle, until we settle on a dynamic solution for our client. We pride ourselves on our ability to understand our client’s needs and on our agility to respond with creative, entrepreneurial solutions. We are not just smart. We’re smart and quick, and this makes us flexible. We make sure we’re always properly prepared, because the better we understand a situation, the quicker we can adapt. The quicker we can adapt, then the more we can evolve, and the more successful we will be. 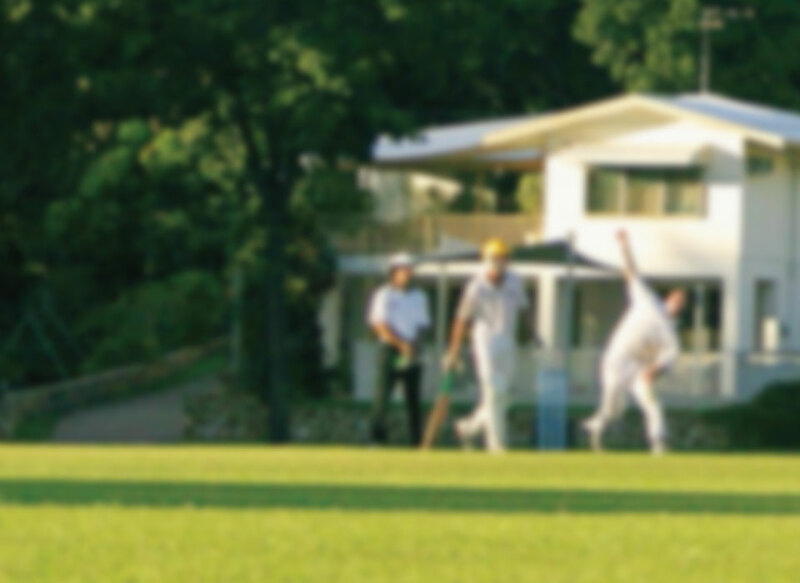 DIRECT FUNDING FOR COMMUNITY AND SPORTING EVENTS, CHARITABLE ORGANISATIONS AND YOUTH DEVELOPMENT PROGRAMS.